Cabinets within modern homes may be placed in the kitchen, living room, bathroom or your bedroom. They are also handy in the office when you need storage space for items and documents. They are essential in ensuring that there are organization and neatness within the home and office. However, the office and home glass display cabinets may differ in that the latter may require more space and unique designs. The glass display cabinets installed in the living room may be used for invaluable items and curio artifacts. The position where they are positioned within the living room determines whether they transform it to look modernized or not. Also, within your kitchen, you need to identify the most appropriate position that you can install your glass display cabinets. Ideally, it is recommended that they are installed at a higher position where they will not cause any form of distraction to people using the kitchen. You may have difficulties finding the right position especially when you are engaged in a DIY project. To ensure that you understand the basics of the positioning of glass display cabinets in your kitchen and living room and gain information about Kitchen cabinets ideas, you will need to read this article to the end. Let’s find out more below. Curio cabinets are great additions to your living room. The living room should have interior décor that is captivating to the eye. The type of art that should be included in the curio display design should be unique and well positioned. With the modern house designs, a curio display cabinet may be placed just next to the television stand. Most of the time while in the living room, you find yourself watching shows on television. This means that even visitors will have their eyes on the television when sited in the living room. Placing the curio glass display cabinet next to the television stand will make it a center of attraction. Also, you may have two curio cabinets on either side of the television. You will not need to worry about the artwork in eth curio cabinet attracting the visitors. Further, the glass used for the curio cabinets should be clear to allow for a clear view which is not distracted. Glass cabinets with glass doors will make your living room look contemporary and also attractive. The entry porch of your living room should always be decorated to create a positive image to your visitors. Most people that have modern houses ensure that they have decorated the entry hallway with glass display cabinets and put artwork that is invaluable to them. This is a great idea especially when you are in a secure neighborhood. It may, however, be risky if your neighborhood has no enough security. Invaluable artifacts could be easily stolen and cost you a lot. If you are looking for great ideas to decorate your entry hallway, maybe starting with a glass display cabinet in your entry hallway can do the trick for you. You should consider a display cabinet with glass doors which are made from tempered glass to remain durable. The corners of your living room can have display cabinets with glass doors installed. They are designed according to the shape of the corner so that they can fit precisely. Mostly, if you are looking forward to identifying the most suitable shape for the display cabinet with doors you need for the corners, you can contact fab glass and mirror. They will offer you with designs and quality glass doors at affordable prices. The doors of the corner display cabinets in the living room may be hanged or standing. The standing type is more recommended since it gives your room the elegance it deserves for a modern house. The glass doors for the corner cabinets should also be specially designed so that they can open conveniently and in a way that does not distract people within the room. 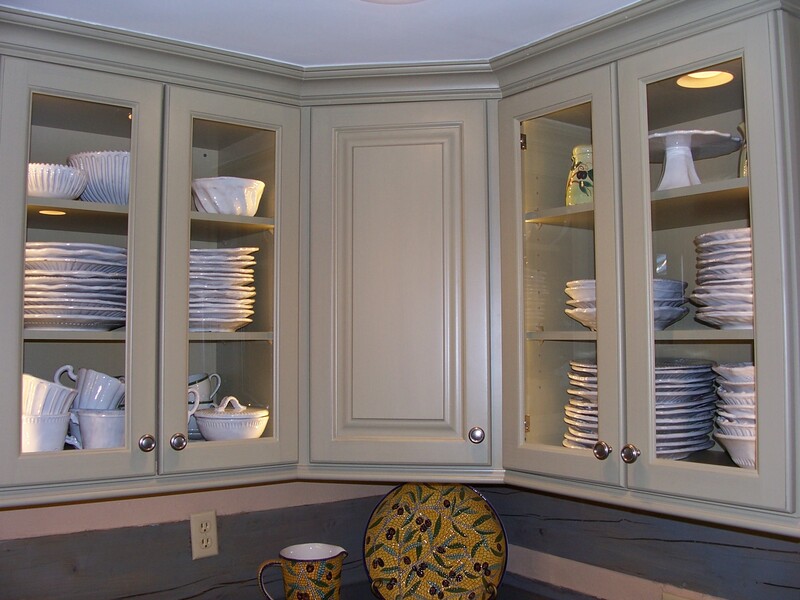 The walls of your kitchen can be maximally utilized by installing glass display cabinets. The glass display cabinets may be horizontally or vertically oriented depending on the available space. Mostly, they are hung just above the eye level so that it does not become inconvenient for use. Having your kitchen cabinets hung on the wall is one of the most popular glass designs for kitchen cabinets. When installing them, you should also avoid the sink and window are. The window should be left fully free, and the cabinets can be installed just beside it. Kitchen windows should be wide enough to let in sufficient light. Frameless glass doors may also be used for the wall cabinets to make your kitchen look elegant and modernized. If you have a problem finding frameless doors for the kitchen cabinets, you may contact fab glass and mirror for quality supplies. Standing cabinets are the easiest to install within the kitchen area. These cabinets have their stands and require a convenient location where they can be easily accessed. Mostly, they may be utilized for kitchens that are spacious as compared to those which have limited spaces. The glass doors for this design, if you are in a spacious kitchen, can be pivoted. It could be either single or double door depending on owner’s preferences. Also, the cabinet could have sliding doors if you do not have sufficient space for the pivoted doors to open. Ultimately, when placing glass display cabinets in your living room or kitchen, you have to mind the other furniture present. You also have to utilize all the space that is available so that you don’t cause any form of congestion in the long run. Things are supposed to be flawless within the kitchen and living room, the doors should not be a distraction but should have sufficient space to be opened freely. If you do not have enough room, you can contact fab glass and mirror for the sliding glass door designs.